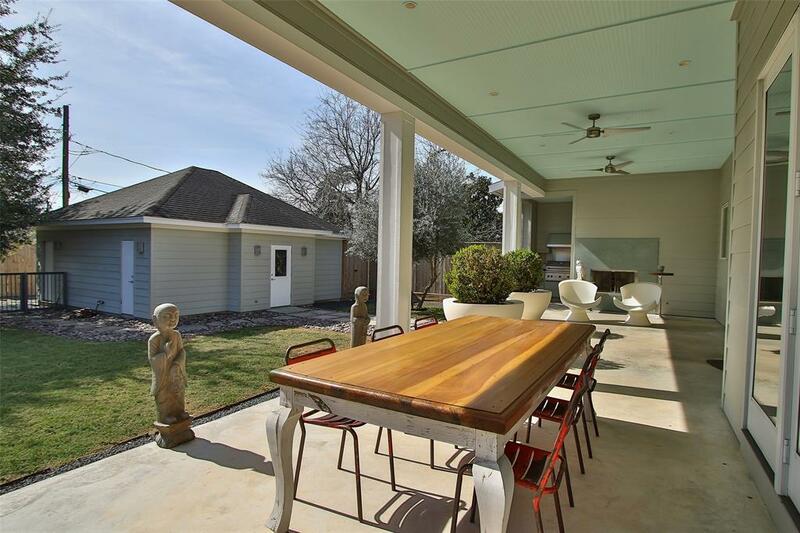 For over a century, the Houston Heights has had a long sought-after zip code to call home. 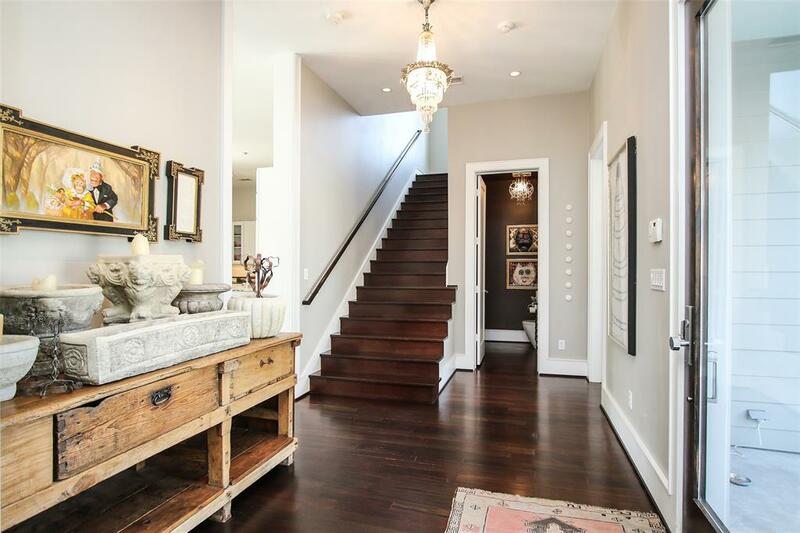 The trend continues today with a measured mix of new construction blended in with the historic charm of the 1800’s when the Heights came to be. 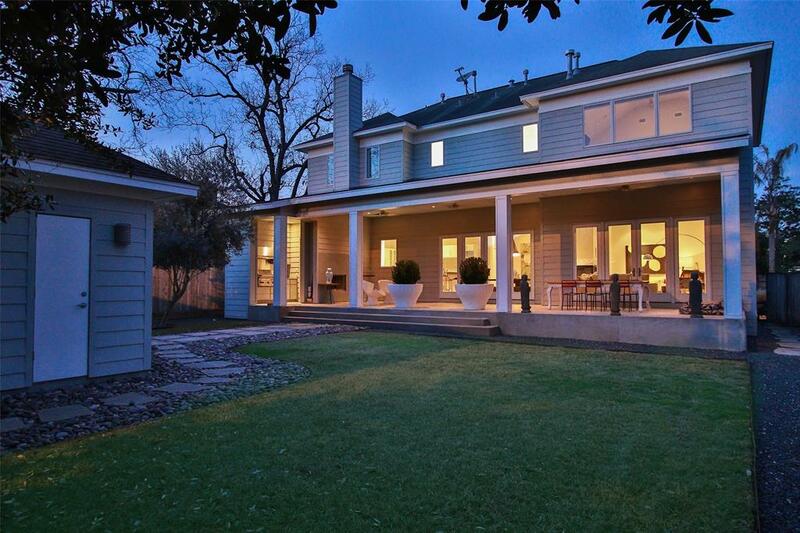 Among those homes is a custom-built gem packed with personality plus situated on a double lot. Driving up to 616 E. 18th Street it’s apparent this is new construction compared to the bungalows of late. Yet, preserved in its character, is the charm of materials and design that reaches back into history like the metal roof and the craftsman influence in the siding and windows. 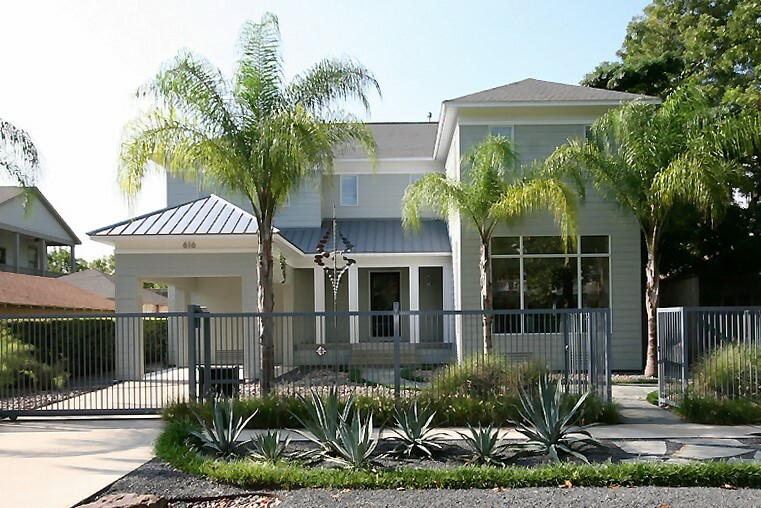 Modern landscaping offers wispy palm trees, river rock and Black Star gravel. Just through the solar gates is a porte cochere making it a breeze to unload kiddos and groceries right into the front entry. 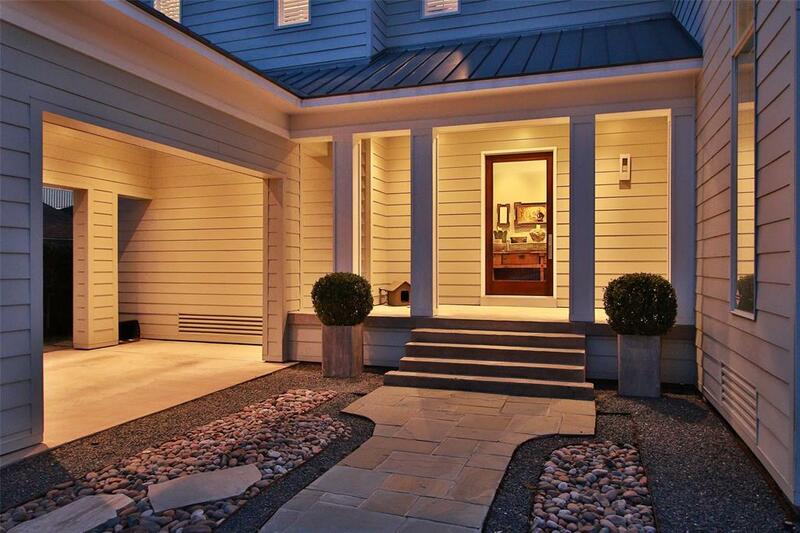 Walk through the solid mahogany and glass entry door and you know you’ve come upon something special. Anchoring your experience is imported Brazilian Cherry hardwood floors throughout the home and ascending the staircase to the second floor. This brings a rich, bold flair to the open concept floor plan that blends several areas of the home, one folding into the next. Walking into 616 E. 18th Street is like walking into a boutique hotel lobby that’s intended to welcome its guests and provide something out of the ordinary. In a traditional home, the bar area might be referred to as a den, but there’ll be no stuffy armchairs and worn out coffee tables here. Instead, an actual reclaimed bar is the centerpiece. This area is plumbed for your own bar, which you’ll have to bring, because the owner’s are packing this one in the moving van. Adjacent to this area is the Living Area that looks out onto a spectacular covered patio and rear yard through oversized windows and doors. 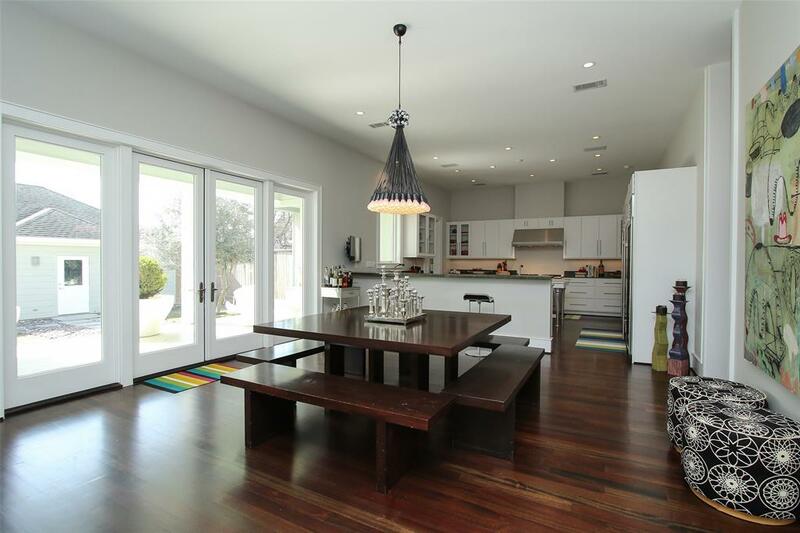 Seamlessly, the Dining Area flows from here maintaining the views to the outdoors. And just beyond this lies the Kitchen. Oh boy! This Kitchen! Foodies will nearly faint over the well-equipped Chef’s Kitchen. The Wolf 5-burner gas range, double convection oven, double Sub Zero refrigerator, wine refrigerator and Bosch dishwasher round out the appliances. 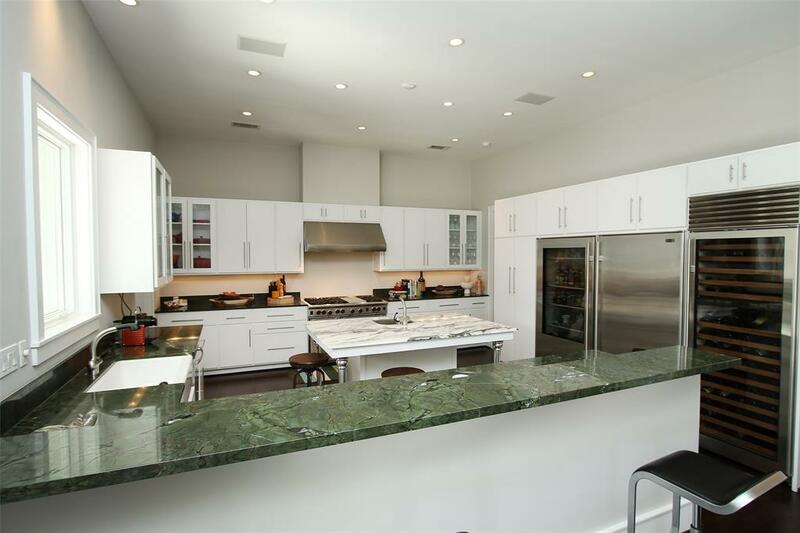 Gorgeous emerald green marble graces the counter tops while white and gray streaked marble top the kitchen island featuring a disposal and hand forged aluminum legs. Who knew an island could have such great legs? Custom white cabinetry dressed in sleek stainless steel hardware is outfitted with adjustable shelves. Is it any wonder that the owner is a notable Heights restaurateur? Style doesn’t stop at the boudoir. This Master Bedroom is ready for rest. Elongated windows are dressed in automatic rising blackout shades allowing you to rest when you need to. A marble surround fireplace is ideal for chilly nights. Take a walk into the walk-in closet. You may want a map. It’s something to behold. Abundant storage will take care of every wardrobe need you have from shoes to slacks to ball gowns and bags. 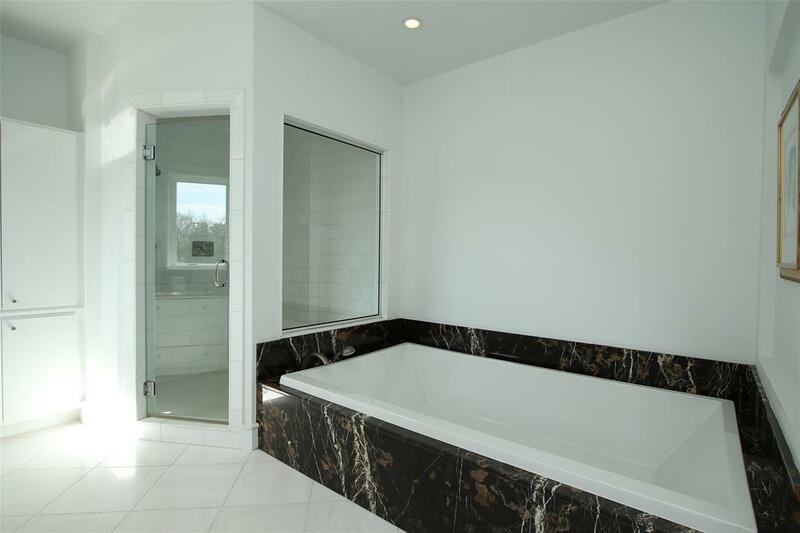 Before you crawl in bed and pull up the covers, relax in the oversized soaking tub surrounded by marble or shower in the expansive white marble shower. 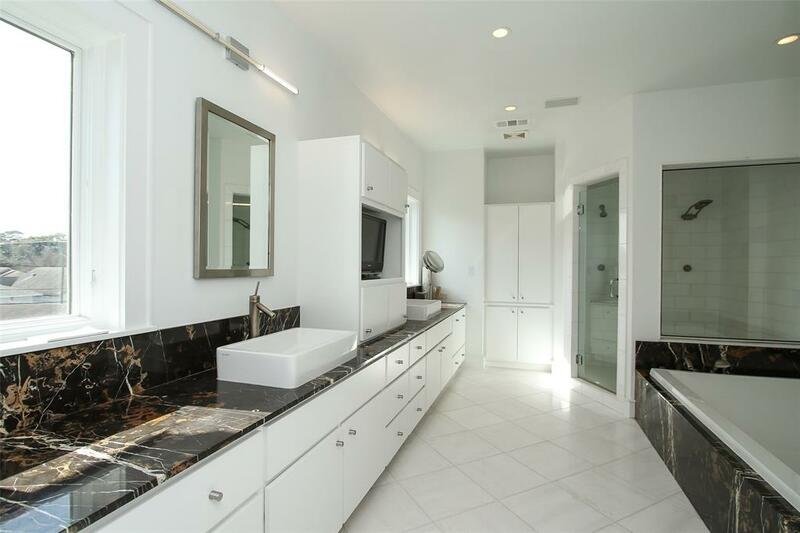 There are large windows to allow natural light to pour into the bath that offers double vanities situated on Michelangelo Chocolate Marble counter tops. Entertaining is taken to another level on the 40×14 covered rear patio. 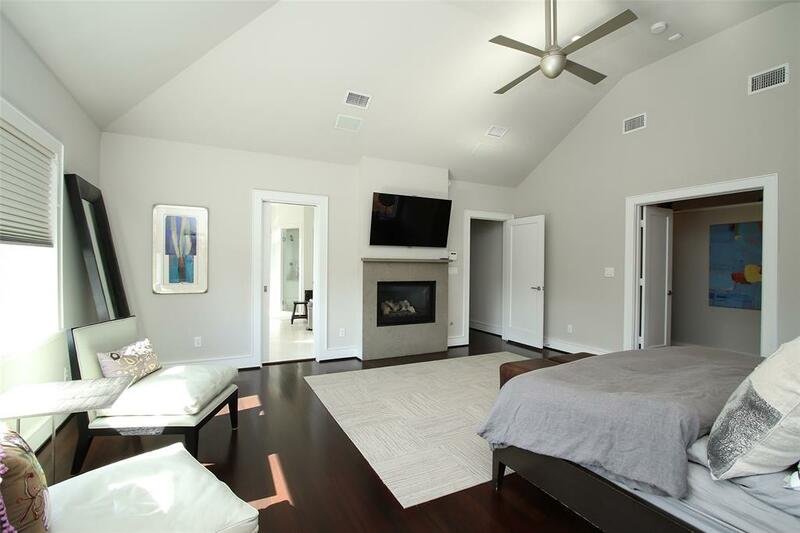 Three ceiling fans keep the temperatures comfortable on warm days while a slate surround fireplace throws off just enough heat on chilly nights. 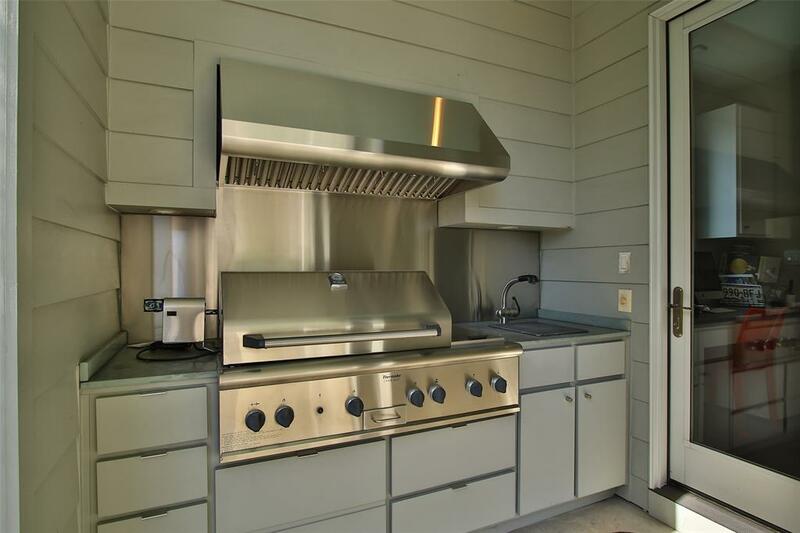 The Outdoor Kitchen sports a Thermador Stainless Steel grill and vent hood allowing you to take your grill skills to the next level. Warning: your guests will expect something delicious coming off the grates! 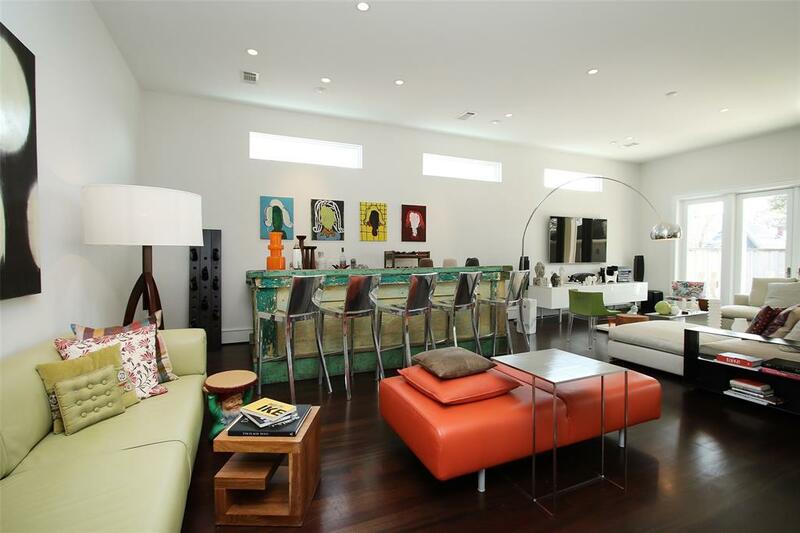 This one-of-a-kind three-bedroom home hosts a treasure of features sure to please the senses. It fits beautifully into this community known for boutiques, vintage shops and eclectic eateries. In close proximity to Downtown Houston and the Medical Center, commuting is a lot easier from here than many other places in the Bayou City. 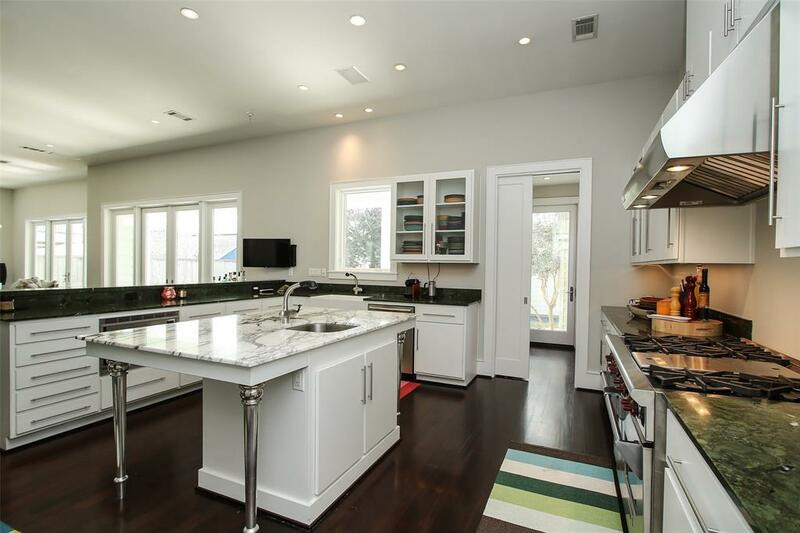 The Keller Williams Moving Houston Team can fill you in on all the other beautiful details of this gorgeous home ready to call yours in the Houston Heights.